SARAJEVO, BOSNIA AND HERZEGOVINA. 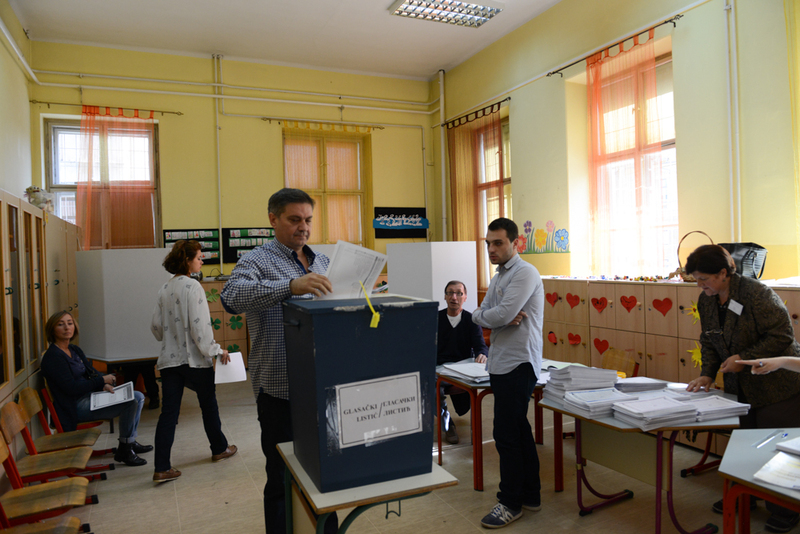 A man casts his ballot in Bosnia's elections in a school classroom on October 12, 2014. With 92 political parties and a tripartite presidency shared between a Serb, a Croat and a Bosniak, Bosnia's political system has been dubbed one of the most complex on earth.